Freshpints.com: Redhook Brewery Releasing Extra Special Lager A Washington state exclusive. Redhook Brewery Releasing Extra Special Lager A Washington state exclusive. SEATTLE, WASH. – MARCH 9, 2016 – Redhook Brewery, a Seattle original since 1981, launches Extra Special Lager (ESL), a Washington state exclusive, Dortmund-style lager brewed with Washington hops. Fans can enter for a chance to win tickets to our private ESL Launch Party at The Crocodile on Instagram by following @redhook and using #RedhookedUp for a chance to win. To learn more about this giveaway, visit www.instagram.com/redhook. Winners will be selected on March 18. Redhook fans can find Extra Special Lager throughout Seattle come Spring and Summer, and at several KEXP events throughout the year, including the studio grand opening at Seattle Center and the Concerts at the Mural series. Extra Special Lager is available exclusively in Washington state beginning March 7 and will be sold in package and on draft. Redhook fans can find Extra Special Lager and other Redhook favorites on tap at their new Seattle brewpub location in Capitol Hill, scheduled to open in fall 2016. Redhook was born out of the energy and spirit of the early 1980s in the heart of Seattle. While the term didn’t exist at the time, Redhook became one of America’s first “craft” breweries with its focus on creating “better beers.” From a modest start in a former transmission shop in the Seattle neighborhood of Ballard to a Fremont trolley barn that housed The Trolleyman brewpub, to its current breweries in Woodinville, Wash., and Portsmouth, N.H., Redhook has become one of America’s most recognized craft breweries. Redhook will open a 10-barrel brewpub in the Capitol Hill neighborhood of Seattle in the fall of 2016. While Redhook has “grown up” over the past 30 years, one thing has never changed — Redhook is still brewing great beers like ESB, Long Hammer IPA, American Pale Ale and a variety of seasonal beers, including Blackhook. Most importantly, Redhook has fun doing it. 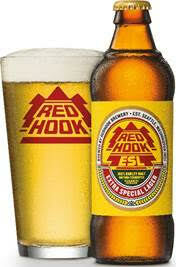 Redhook beers are available on draught and in bottles and cans around the country. For more information, visit www.redhook.com.